With a few days left before Easter, as we scramble to fill up some baskets with unique and exciting gifts, this blog showcases crochet patterns that will make your job easier! Please follow the links below or click the photos to direct you to the written patterns to each of these fantastic designs! 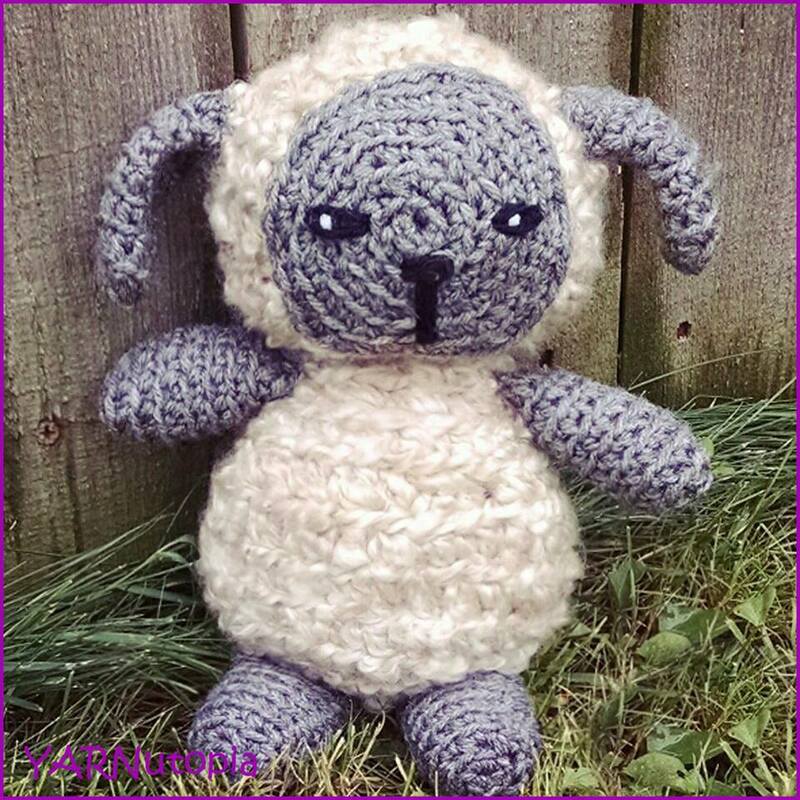 I made the One Skein Bunny! A few years ago, I made the Caron One Pound One Skein Bunny, by Deb Richey, for my cousin. As Easter is approaching, she commissioned me to make another large bunny for her godson. Although I did not use Caron’s One Pound Skein, I found a Red Heart Super Saver Jumbo skein to make this bunny pattern which worked just as well! This pattern by Deb Richey is such a fun pattern to make! I forgot how adorable this bunny is! As it started to take shape, I remembered how lanky this creature is. What a fun stuffed toy for a little boy or girl during Easter!! This pattern took me a total of 10 hours to make. Deb’s pattern is easy to follow and easy to read. In the end, it creates such an excellent piece. If you are looking for something fun to create this Easter, or any time of the year, this is a great project! This would be lovely in a nursery, it would make a nice gift, or a fun companion for the little ones in your life. The overall size of this bunny measures 36 inches tall (92 cm). Have fun making this bunny in time for the holiday! I sure did! This sweet little fella will hop right into your heart this season! This Bunny Amigurumi in a Carrot Cocoon is a darling project and easy enough to have done in time to make it in those baskets this Easter! For those of you who love bunnies, this is a 10 on the adorable scale!! When I was a little girl, my maternal grandma LOVED bunnies! I remember every Easter we would go to her house and she had a basket full of bunnies. I remember playing with them! Because of her, I developed a love for stuffed bunny rabbits and it has carried into my adulthood! It has inspired me to share it with all of you!! You can buy any of the items in this kit. Buy all or buy one item. Check it out to see the supplies you can get online to make this project!! -This project uses less than 300 yards of yarn. -Watch the FULL video tutorial for visual instructions for each round. Fasten off for the first leg, Do not fasten off for the second leg. Assembly step: Flatten Ears and Sew them to head. Cut out Pieces of Felt and Glue them to the ears. Embroider Eyes and Nose and Mouth on face. (See video tutorial for visual instructions on all these parts) Add some blush to the cheeks for a little extra detail! Add ribbon around neck and tie in a bow. Row 3: Ch 3 (counts as DC), DC in next 10 sts, [2DC in next st, DC in next st] 3 times, DC in last 11 sts. Sew both sides of leaf together and stuff with polyfil. Attach to carrot. (See video tutorial for visual instructions). Weave in the rest of your loose ends!